Vail Vitality Center Stein Lifting Competitions happen at 7 p.m. Friday, Sept. 9, and Saturday, Sept. 10, and at 5:30 p.m. Sunday, Sept. 11, at Vail Oktoberfest in Lionshead Village. Vail Oktoberfest runs from Friday, Sept. 9, through Sunday, Sept. 11, in Lionshead Village and from Friday, Sept. 16, though Sunday, Sept. 18, in Vail Village. Find more information and a full schedule for the Vail Village Oktoberfest celebration at www.vailoktoberfest.com. Contact info@gohighline.com for more information about VIP tables and sponsorships. VAIL — Munich comes to Vail for two full weekends emulating Oktoberfest, the world’s greatest celebration of beer, music and autumn. Vail Oktoberfest is free and open to the public, with events and activities for adults and kids. 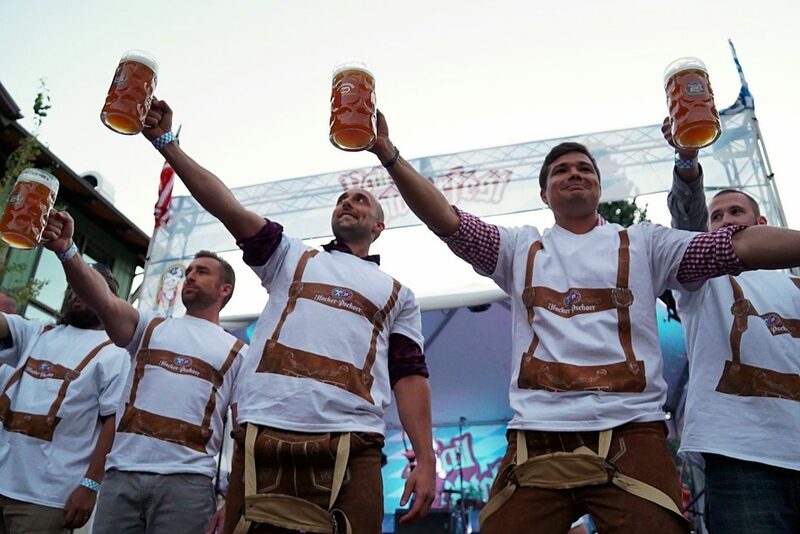 This year, attendees will see the return of many crowd favorites such as Klement’s bratwurst-eating contests, Vail Vitality Center Stein Lifting contests and keg bowling contests, as well as Bavarian music and dancing, yodeling, alpenhorn blowing, authentic Bavarian food including Klement’s bratwursts and pretzels, beverages from Hacker-Pschorr and Jagermeister and more. Vail Oktoberfest kicks off at noon Friday, Sept. 9, in Lionshead Village with the return of Friday Afternoon Club — oom-pah style. The Friday afternoon event will honor all active, inactive and retired military with one complimentary beer and will be followed by the Hacker-Pschorr opening ceremony, officially marking the start of Oktoberfest in Vail. There are a limited number of VIP tables available during Friday Afternoon Club for businesses and individuals to reserve seating for eight people. Each VIP will receive an official 2016 Oktoberfest 1-liter beer stein, two complimentary beers, a Klement’s bratwurst and pretzels for the table. Oktoberfest continues through Sunday, Sept. 11, in Lionshead Village and picks up again Friday, Sept. 16, through Sunday, Sept. 18, in Vail Village. For more information on Vail Oktoberfest go to http://www.vailoktoberfest.com or follow the event on Facebook, Twitter and Instagram.